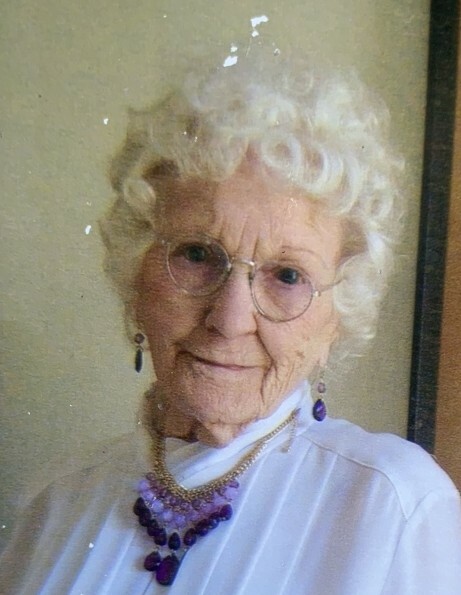 WATERTOWN – Audrey M. Sanderson, 97, of Emerson St., passed away on Friday Evening, October 5, 2018 and has gone to be with our heavenly Father and all her loved ones who went before her. Audrey was born on May 21, 1921 in Watertown, a daughter of the late Archie and Maude Clark Boulia. She received her diploma from Watertown High School. She was a waitress and bartender throughout the local area especially in downtown Watertown, she later retired from Watertown Fachiney’s Thermometer Company as a Thermometer Certifier in 1977. A marriage to Geroge Douglas ended in divorce. She married Arlington Sanderson, Mr. Sanderson died in December of 1979. Audrey is survived by her daughter, Linda (Frank) Gault; five grandchildren, Franklin (Tina) Gault, Marcy Reid, Kevin (Cindy) Gault, Chris Gault, Thom Difant; her adopted family, Gert and Gary Gebo; five great-grandchildren, Timothy Gault, Franklin Gault Jr., Sara Gault, John Gault, Anna Rhodes and their spouses; several great-great grandchildren; and her very dear friends, Jim and Barbara Buckles and Linda Granger. She is predeceased by her husband, Arlington Sanderson; a son, Franklin Douglas; a sister and brother-in-law, Grace and Rolland Parish; a nephew, Archie Parish; two infant brothers, Clifford and Joseph Boulia. A Graveside Service will be held on October 13, 2018 at 11:00am in the North Watertown Cemetery, Bradley St., Watertown, NY 13601 with the Reverend Eric Rodriguez will be officiating. Donations can be made to Hospice of Jefferson County.